Organic. Holistic. Therapeutic. Natural. Rejuvenating. Energizing. Healing. Unique. what we do, that it only made sense to build our Spa & Wellness Center. We have partnered with some of the best Doctors, Veterinarians, Trainers, Therapists, and Groomers to work with us as well! 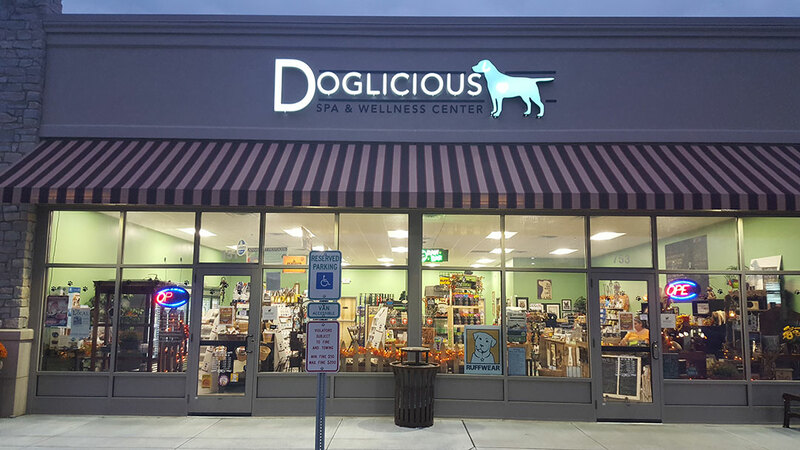 At this new location, we are able to offer Chiropractic, Acupuncture, Massage, Reiki, Laser Therapy, Obedience Training, Puppy Socialization, Seminars, and of course Nutritional Consultations as well as a full-line of Retail products. And YES, all for PETS! Dr. Susan is a 2002 graduate of the Tufts University School of Veterinary Medicine in Boston, MA. She has been practicing veterinary acupuncture since 2008 after earning her certification in canine and feline acupuncture from The Chi Institute in Reddick, FL. Dr. Susan is a member of the American Veterinary Medical Association, the Pennsylvania Veterinary Medical Association, and the American Association of Traditional Chinese Veterinary Medicine. Passionate about animal welfare, she is a founding board member of The Susan Giblin Foundation for Animal Wellness and Welfare, an organization that raises money for animal charities in the South Central Pennsylvania region. Dr. Susan lives with her husband and three cats in Mechanicsburg. She enjoys reading, yoga, and the Boston Red Sox. Sarah Urban, DVM is accepting new patients for Acupuncture and Cold Laser Therapy at Doglicious Spa & Wellness Center. Her experience and education include certifications in canine rehabilitation, mixed animal acupuncture, veterinary spinal manipulation therapy, postural rehabilitation and veterinary food therapy. She is currently completing her master’s degree in Traditional Chinese Veterinary Medicine at the Chi Institute.Sarah’s research interests include: equine lymphedema, advances in rehabilitation therapy and herbal medicine for cancer. She is a member of College of Animal Chiropractors, Inc. (CoAC). Urban currently sits on the board of research for McQueen Animal Chiropractic and Research Institute and is also a researching veterinarian for The Holistic Equine Academy of Lymphedema, known as HEAL, an equine lymphedema awareness group. Dr. Urban is well qualified and very talented, bringing state of the art expertise and information to clients, as well as compassionate and comforting care to her patients. Sarah’s special interests include horseback riding, tending to her hobby farm, hiking, and traveling. Dr. Maria McElwee is a board certified chiropractor with international accreditation in animal chiropractic. She graduated from Bloomsburg University in Bloomsburg, Pennsylvania with a Bachelor of Science in Exercise Science. She then graduated from Sherman College of Chiropractic in Spartanburg, South Carolina with a Doctorate in Chiropractic. She has also completed a post doctorate curriculum for Animal Chiropractic at Options for Animals in Wellsville, Kansas. She is recognized by the National Board of Chiropractic of Examiners (NBCE), International Veterinary Chiropractic Association (IVCA), and the State of Pennsylvania as a Doctor of Chiropractic. Dr. Maria's ambition and passion is to provide optimal chiropractic care for animals. The love she has for animals and the chiropractic lifestyle have lead her to this profession. 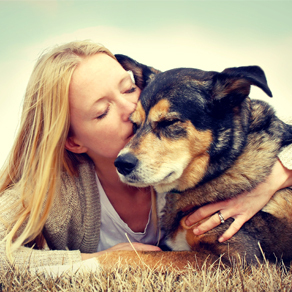 She offers quality chiropractic care for animals of all ages, shapes, and sizes. She works through consultation with your primary veterinarian to provide the best care possible for your animal. In her spare time Dr. Maria enjoys horseback riding, hiking with her dogs, motorcycle rides, being outdoors and family time. 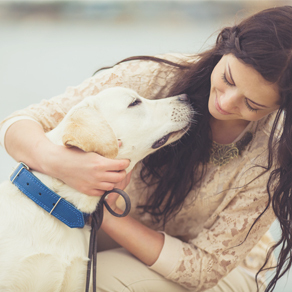 Sandy Dunkle, owner of Your Canine Commitment, is here to help you become 100% committed to your dog for life. We will work to modify behavior through socialization, education and exercise. Established in 2016, Your Canine Commitment has helped save many dogs from being surrendered. After volunteering her time at a local dog rescue, Sandy realized she didn’t know enough about dog behavior to feel confident in helping these poor souls become adoptable. Some were very troubled. SomeA good dog just doesn’t happen. With a little patience and a lot of repetition behavior can be modified. She invested in learning all she could and became a certified dog trainer through FernDog Training Academy. She offers her services to the public hoping to have less and less dogs being surrendered . There are too many unwanted dogs out there. Please contact her today if you feel she could help with a certain issue you may be having or are considering giving up on your canine friend. Shaylene Scheib, ABCDT, believes in creating a fun, learning environment for both dogs and their human owners. In a basic obedience class with Shaylene, not only will it be fun and informative, but she also works with the owners to find an approach that works best for their dog. Shaylene’s philosophy on dog training is one using positive reinforcement, and training should be engaging and interesting for all involved. Shaylene graduated from Animal Behavior College with a certification in dog training in 2012. She’s received additional training and certifications while working with shelter animals. Mentoring with Dennis Stauffer of Delaware Valley Golden Retriever Rescue, she learned valuable lessons working with rescue dogs that she applies to her training now. An advocate for rescue her entire life, Shaylene previously volunteered and participated as a board member with Pitties.Love.Peace. Shaylene offers basic obedience lessons at Doglicious Spa & Wellness Center as well as private one-on-one lessons with families. This is how much our groomers love their customers! We are so happy to have Angie come on board at our Spa and Wellness Center this year. She brings with her 17 years of grooming experience and specializes in all breeds and haircut styles. Angie is not only calm and patient with her clients, she is also very compassionate about what she does. She fits in perfectly with the stress-free environment that we provide here and her love of animals shows in her work! Angie is a mom of 2 kids, 4 dogs, and a cat! Please welcome Angie and book your appointments with this wonderful groomer! Irene joined our team last year and we are so happy to have her on board. She came to us with 4 years of grooming experience and we couldn't be more pleased! Irene has a true passion for dogs, is incredibly patient, loves animals, and is compassionate about her work. Irene is married, with 3 dogs and 2 cats of her own. Schedule an appointment with Irene and you won't be disappointed! My dog was pampered and looked adorable after his grooming and massage. Def going to treat my pet here regularly. This was our first time visiting today and we were very impressed with the knowledge and education of Tami and Bruce. 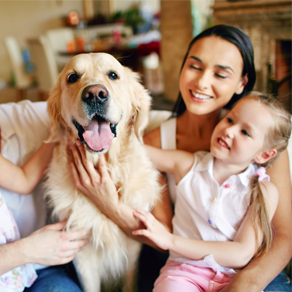 We appreciated that they took their time with us and u can tell they r truly invested in the products and each person's individual health of their furry family members. The atmosphere is very welcoming, the place is clean and inviting. We also love ❤their choice of upcoming educational events that we will definitely be coming to as well. We will be back for sure!! Thank u very much!! The staff are welcoming and very helpful! I was surprised at how affordable a lot of the treats are since they’re organic. I love it here! 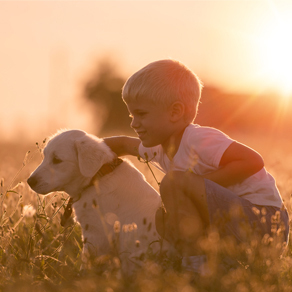 They have great resources to help keep your pet healthy. Super happy with grooming services. Our little dog has a slipped disk in her spine so I was concerned about taking her anywhere for grooming.Fears are alleviated and dog looks great! They were careful and compassionate and did a fantastic job! I Love the holistic approach! Great natural products and services! Very impressed with the groomer. We had been refused service at PetSmart because of our tiny shih-poo’s apparent anxiety...well needless to say, she does much better in this calm setting. Thank you! Groomer there is awesome! Had some horrible experiences at Petsmart to where they told us our puppy needs to be sedated or on anxiety medication. Much better environment here and he does much better. All the staff here is also very nice and informative. Great experiences and I have recommended this place to many people. Dr. Urban performed my dog’s acupuncture treatment and she was amazing! She explained everything as she worked ( both to me and to my dog) and taught me so much. She stayed with my dog throughout the entire treatment monitoring her and talking to her about what she was doing throughout the procedure. I highly highly recommend this vet and Doglicious. This store is super unique in the services it offers to our furry family members. The superior quality of the products they carry coupled with Bruce and Tami's knowledge and willingness to help creates an unparalleled experience. They aren't just there to "make a sale". They are there to educate and help. They actually CARE! They are so patient in taking the time to answer questions and go out of their way to FIND answers if they don't have them! You will NOT regret a visit with or for your furry friend. I became a customer for life after my first visit. Amazing store with such wonderful, knowledgeable people!!! My dog just started on their products, so I can’t say what the results are yet. However, she wasn’t even eating before and now she gobbles down the raw food and goats milk I bought from them. I have been in a few times and always enjoyed the store. Today was our first grooming session. Bailey looks beautiful!!! She was done in a reasonable amount of time and didn’t have to spend the entire day there! I loved that! Customer service and the knowledge they have is exceptional! Tammy was great over the phone; answered all my questions and didn't rush me but asked if I'd be able to come in to discuss more in depth. The next day Bruce spent probably an hour talking me through switching my dogs to a raw diet. He was also patient as I asked questions, and explained things thoroughly. I can't wait to go back. Thanks again! Excellent family business where all the individuals there really seem to care about your pet's well-being. It's more than your average pet store, offering holistic grooming, organic and raw food and treat items, and homeopathic treatment options. They also host various speakers to provide insight on some of the items they have to offer along with seminars to discuss current events. They are worth a visit if you are looking for a place that truly cares about your pet as they would their own. Recently my goldendoodle was groomed at Doglicious. Brittany, the groomer, did an absolutely wonderful job. I told her what I wanted and she exceeded my expectations. 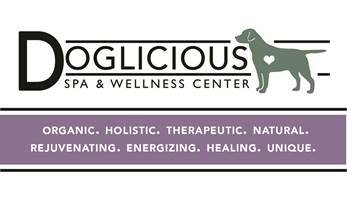 When we need him groomed again, Doglicious Spa & Wellness Center will be our choice. My dog love his groomer has very happy and content. Irecommended to everyone. Love this place. Great selection, friendly and knowledgeable staff. Competitive pricing. Highly recommend. The process of fermenting vegetables is simple and effective. Its premise is to inoculate food with good bacteria and yeast, then encourage these to grow by placing them in an environment that’s favorable to their growth – usually an area at room temperature. 65 Ways Rabies Vaccination Can Harm Your Dog.